In Japan, they have their own unique twists on well known international branded products. Or more precisely, the international brands were able to adjust themselves to the marketing. One is the Kit Kat bar. The chocolate covered wafer is usually just available in milk chocolate (and sometimes white chocolate). 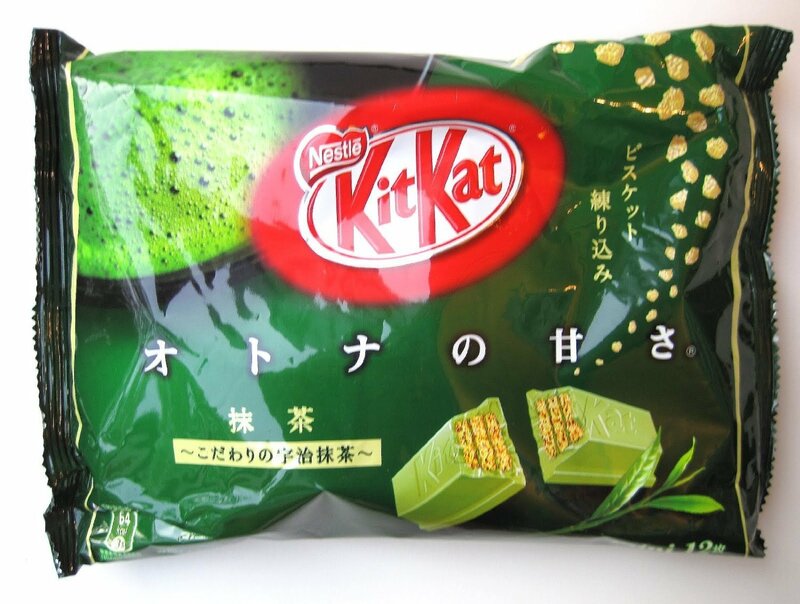 In Japan, the have a whole variety including a strawberry and matcha. The matcha/maccha (green tea) treat is not as sweet as the original milk chocolate variety, but it still tastes very good. It’s sweeter than the Royce’ I mentioned in my prior post, but this is far more common in Japan and much more widely available. Next PostWhat was Your Weirdest Meal?